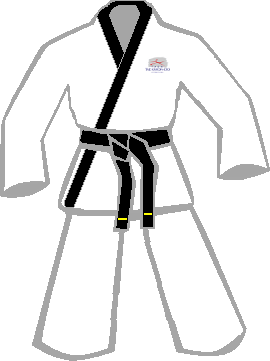 The Tae Kwon-Do Association of Great Britain (TAGB) is the largest TKD organisation in the UK, and you are quite likely to spot their members both in training and at tournaments. The older type of TAGB dobok is of the traditional cross-over style, with kup grades wearing a plain white dobok and trousers, and black belts allowed a white dobok with black edging at the bottom of the shirt. 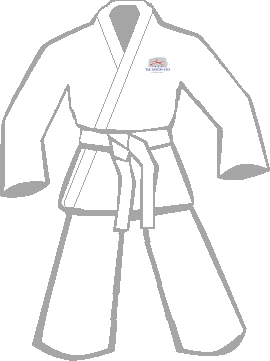 More recently, they have adopted a V-neck dobok, similar to that of the WTF, and with black stripes down the arm and leg for dan grades. 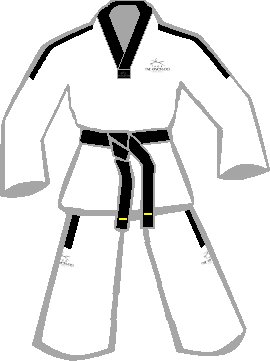 The dobok has the TAGB logo on the front right, and 'TAGB Tae Kwon Do' written on the back.